Christopher Nolan’s “Interstellar,” about astronauts traveling to the other end of the galaxy to find a new home to replace humanity’s despoiled home-world, is frantically busy and earsplittingly loud. It uses booming music to jack up the excitement level of scenes that might not otherwise excite. It features characters shoveling exposition at each other for almost three hours, and a few of those characters have no character to speak of: They’re mouthpieces for techno-babble and philosophical debate. And for all of the director’s activism on behalf of shooting on film, the tactile beauty of the movie’s 35mm and 65mm textures isn’t matched by a sense of composition. The camera rarely tells the story in Nolan’s movies. More often it illustrates the screenplay, and there are points in this one where I felt as if I were watching the most expensive NBC pilot ever made. And yet “Interstellar” is still an impressive, at times astonishing, movie that overwhelmed me to the point where my usual objections to Nolan’s work melted away. I’ve packed the first paragraph of this review with those objections (they could apply to any Nolan picture post “Batman Begins”; he is who he is) so that people know that he’s still doing the things that Nolan always does. Whether you find those things endearing or irritating will depend on your affinity for Nolan’s style. While “Interstellar” never entirely commits to the idea of a non-rational, uncanny world, it nevertheless has a mystical strain, one that’s unusually pronounced for a director whose storytelling has the right-brained sensibility of an engineer, logician or accountant. There’s a ghost in this film, writing out messages to the living in dust. Characters strain to interpret distant radio messages as if they were ancient texts written in a dead language, and stare through red-rimmed eyes at video messages sent years ago by people on the other side of the cosmos. 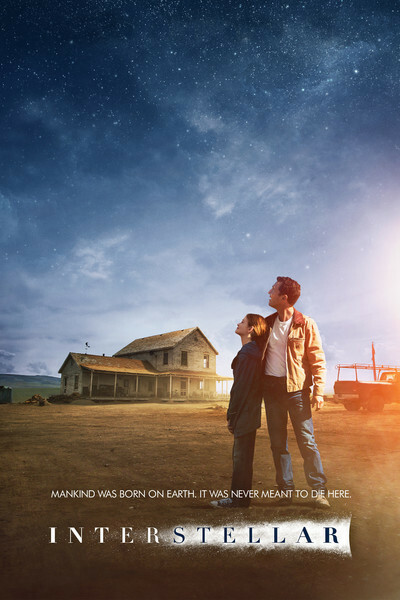 “Interstellar” features a family haunted by the memory of a dead mother and then an absent father; a woman haunted by the memory of a missing father, and another woman who’s separated from her own dad (and mentor) and driven to reunite with a lover separated from her by so many millions of miles that he might as well be dead. The movie’s storytelling masterstroke comes from adherence to principles of relativity: The astronauts perceive time differently depending on where Endurance is, which means that when they go down onto a prospective habitable world, a few minutes there equal weeks or months back on the ship. Meanwhile, on Earth, everyone is aging and losing hope. Under such circumstances, even tedious housekeeping-type exchanges become momentous: One has to think twice before arguing about what to do next, because while the argument is happening, people elsewhere are going grey, or suffering depression from being alone, or withering and dying. Here, more so than in any other Nolan film (and that’s saying a lot), time is everything. “I’m an old physicist,” Brand tells Cooper early in the film. “I’m afraid of time.” Time is something we all fear. There’s a ticking clock governing every aspect of existence, from the global to the familial. Every act by every character is an act of defiance, born of a wish to not go gently.